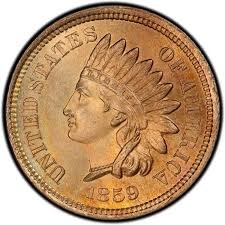 The 1864 L Indian Head Penny had a mintage of an estimated 5,000,000 pieces. This is one of the most famous pieces in the series. The "L" on the ribbon is the initial of the chief engraver James Longacre. We use strict Photograde standards when grading all of our coins. These coins generally ship within 3 - 7 business days. Buying coins on line is a precarious business, even when you can see an image of the coin. As a first time customer of USSQ I was pleased with the experience. The grading of the coins was certainly within my expectations. Very satisfied! Wasnt expecting it to be so well packaged and in a sealed container NCGS graded. So, well done and thank you!